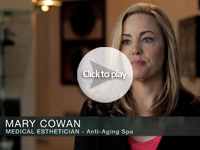 Nerium International offers a thirty (30) day, money-back satisfaction guarantee, to all retail customers. If a customer is dissatisfied with any Nerium products for any reason, the Nerium products may be returned in its original packaging, along with the original invoice to Nerium International within thirty (30) days of the purchase, for a refund of the purchase price. 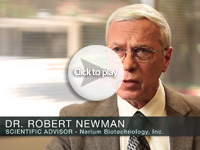 If the Nerium products were purchased directly from a Nerium International Brand Partner, the refund must be processed by the Nerium International Brand Partner. The Nerium products must be returned along with the original invoice to the Nerium International Brand Partner who will refund the product purchase price. 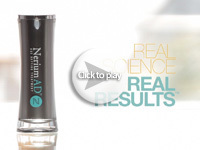 The Brand Partner will then return the product to Nerium International for a replacement product. If the Nerium products were purchased directly from Nerium International using a Brand Partner’s website or Brand Partner ID number, the refund will be processed by Nerium International™. 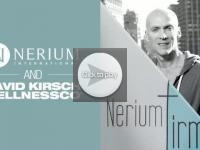 Nerium International agrees to repurchase from a resigning or terminating Brand Partner all unencumbered products, sales aids, enrollment packs and subscriptions purchased by the individual from the Company within the previous 30 days (or longer where required by law) which are unused, unopened and in commercially re-sellable condition, for not less than 90 percent of the actual amount paid for the products and sales aids which are being returned. Any and all commissions and bonuses previously paid out on such sale will be retracted upon the return and deducted from the refund. In order to facilitate the return process by Nerium International™, a Brand Partner or Customer will be required to obtain a Return Preauthorization Number. This number must be written on the outside of the shipping box. If a package is returned without a Return Preauthorization Number, the package may be refused or refund delayed. To obtain a Return Preauthorization Number, send a completed Refund Request form, to Nerium International Support Department. You may scan and email it to support@nerium.com, or fax it to (214) 390-9988. If you have any questions regarding the Refund Request form or the refund process, you may contact the Nerium International Support Department by phone during normal business hours at (855)463-7486. Monthly Auto-Delivery Orders and Monthly Subscriptions for the Advanced Business Center may be cancelled at any time by submitting a written notice at least five (5) business days prior to the next scheduled processing date. To cancel an Auto-Delivery Order or Monthly Subscription, submit a completed Auto-Delivery/Monthly Subscription Cancellation Form via email to support@nerium.com or fax to (214) 390-9988.